Manchester United have started with two victories under interim boss Ole Gunnar Solskjaer and us, the fans, are hoping that he could earn Champions League qualification for the team. If he can achieve that goal then United should actually hand him a permanent deal to manage the club. We are still 8 points behind fourth placed Chelsea, so, things are not going to be easy for the Norwegian manager. As far as the permanent position for the Head Coach is concerned, United are mainly linked with Tottenham boss Mauricio Pochettino. According to The Telegraph, Manchester United are ‘prepared to pay’ a world record compensation fee in order to secure the services of the Argentine manager. The British source have mentioned that the Old Trafford club are hopeful that they could convince the former Saints boss to join them. 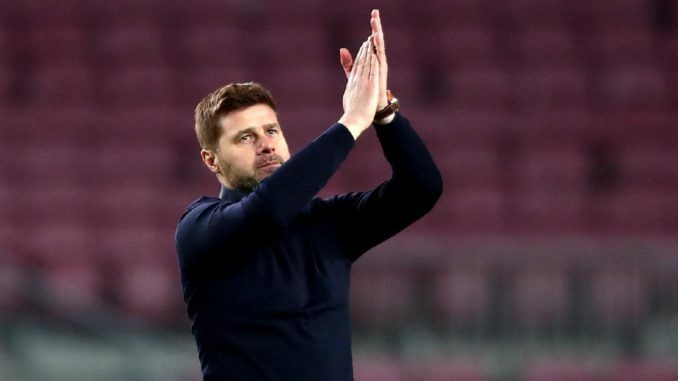 Coaching the biggest club in England should be a huge opportunity for Pochettino and earlier this month, The Star exclusively reported that the manager is willing to join Man United. However, managing the most successful club in the world in the form of Real Madrid could even be more tempting for him. The Telegraph have claimed that Pochettino leaving for the Los Blancos is Spurs’ biggest fear. It could be a huge problem for Man United as well if Real opt to sign him in the summer. The South American boss has been brilliant for the north Londoners since joining them from Southampton in 2014. That level of consistent improvement is required at Old Trafford as well and for that, a manager like Pochettino is needed. Could the management bring him to Manchester United? Only time will tell. I wish we give our intern manager coaching time since we the fans and the players like him.